The Eastern and Southern African Trade and Development Bank (PTA Bank) has approved a total of USD 130 million in grant funding to be used for three development projects and three syndicated loans in Tanzania. Details of the grant include the awarding of USD 50 million to Kilwa Energy, USD 20 million to the food and packaging firm 21st Century, USD 3 million to Sea Rock, USD 20 million to Tanzania Electric Supply Company (Tanesco), USD 20 million to the Tanzania Ports Authority and the remaining USD 25 million to the Government of Tanzania. According to Admassu Tadesse, PTA Bank President and Chief Executive, the bank is committed to furthering development in the region and to strengthening financial markets through trade, project and infrastructure financing. “Our product and service offerings are primarily trade, project and corporate finance and to a lesser extent, equity finance and guarantees with tenures ranging from short to long term,” Tadesse said in a recent interview with East African Business Week. 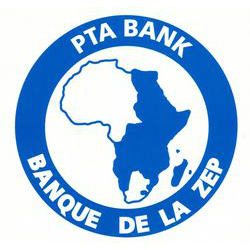 PTA Bank is a treaty-based, multilateral financial institution with a shareholder base in 18 regional member states throughout COMESA, EAC and most IGAD and the IOC countries.